"How the green smoothie experiment help me to BQ"
I have used most of this time to build my endurance. From the first of January when I started my training for the derby festival marathon. My goal was to work on my aerobic base. I have averaged about 30 to 35 miles a week running 4 to 5 days. This has work for me. My most mileage per week has been 40 miles about two weeks ago. Being consisted well help you improve your aerobic base. I have took my long runs from 13 miles to 22 miles in 10 weeks. The 22 mile long run was not my plan this early. About 3 weeks ago on a friday I decide to do my long run to beat the rain on saturday. The goal was 18 miles long run but this boy got lost in Louisville Cherokee park. Yes! I had to ask a guy for help out of the park. I always add some intensity to my runs on tuesdays that make up half of my long runs. My training with short runs has always been fartlek/tempo. Running at a comfortable hard pace then play with speed. This workout without a track and high mileage help me to BQ in 2017. I have always for the most part took wednesdays and thursdays off. These two days I work 14 hours. Just don’t have the time. Sunday have became more of a rest day for me. If my body is fagtue then I just take this day off. Rest/Recovery is part of the plan. I have not drink soda pop all this year which is good! My diet has not been the best eating way to much sugar and process food. Not making my green smoothies and eat mostly a plant based diet. My water intake has been ok! Trying to drink half of my bodyweight in ounces everyday! Coffee has always been my first drink in the morning to wake me up. I have done zero in the first ten weeks of training. Need to get back doing 100 pushups everyday and bodyweight training. Coach Jay Johnson has a good warm/cool down strength program. This has not been easy for me taking care of my mom after my dad death last June of cancer. I have always been on the run with very little rest working two jobs! I will share my dad story of his last days soon! I miss him so much! 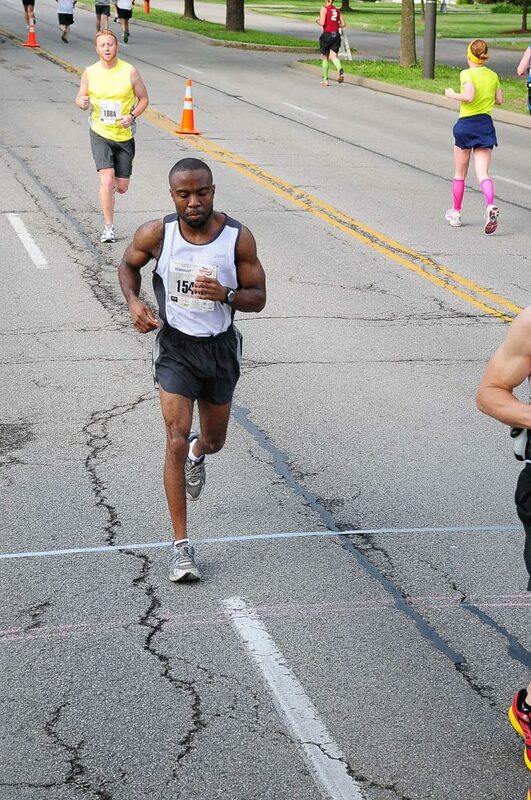 My goal is to run a marathon under 3 hrs in April. I have been build up my base for weeks. Last year a injury stop me from reaching this goal. This time will help me to BQ for the second time! Six weeks to stay health and continue to build my base. Being more consistent with my green smoothies and pushups. This really help me two years ago to PR. My diet is not good right now my goal was to give up meat until the race. They say you can’t outrun a bad diet. This has been my biggest struggle for the most part. Bad food is easy to cook. If my marathon started today I could at least beat my time from last April 3:37. I feel in much better shape on this date than last year! Could I run a 2:55 marathon? No! I still need to work on strength and speed that will give me the turnover later in the race to reach my goal! Check out my free marathon cheat sheet! This entry was posted in boston marathon Quest, Sub 3hrs Marathon Quest on March 18, 2019 by CoachMarcus.